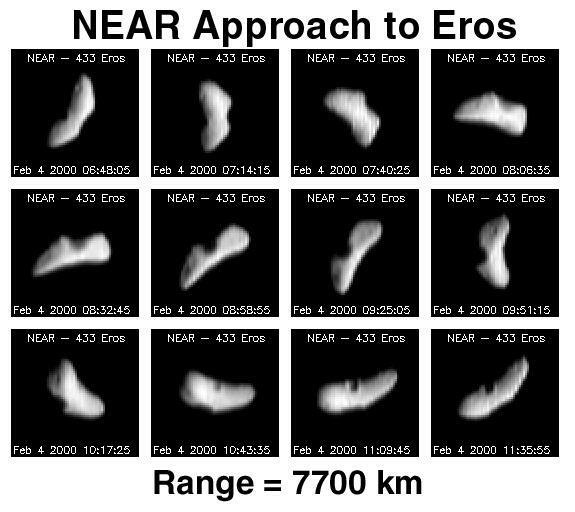 Approximately one day after its first rendezvous burn, NEAR imaged Eros every 15 degrees of rotation over a period of about 5.8 hrs. 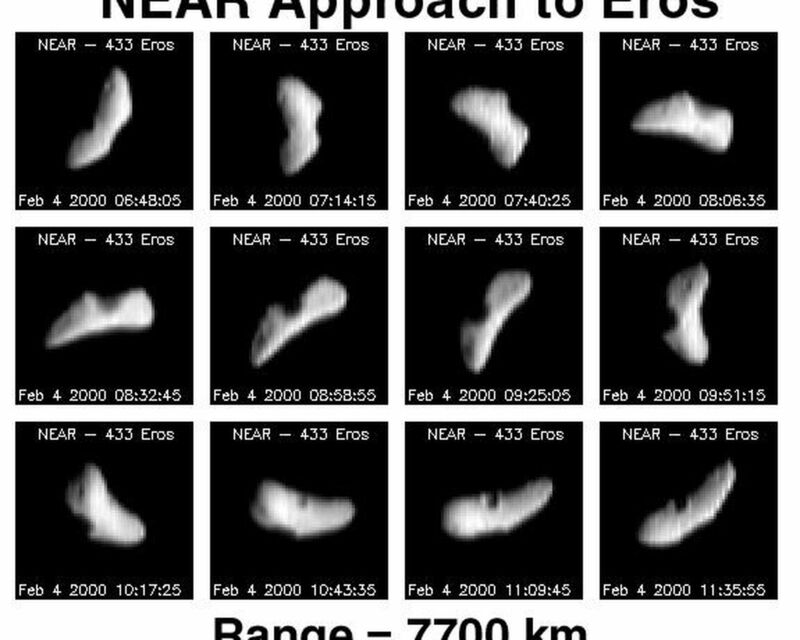 At this time the distance between the asteroid and spacecraft was approximately 4638 miles (7730 km). 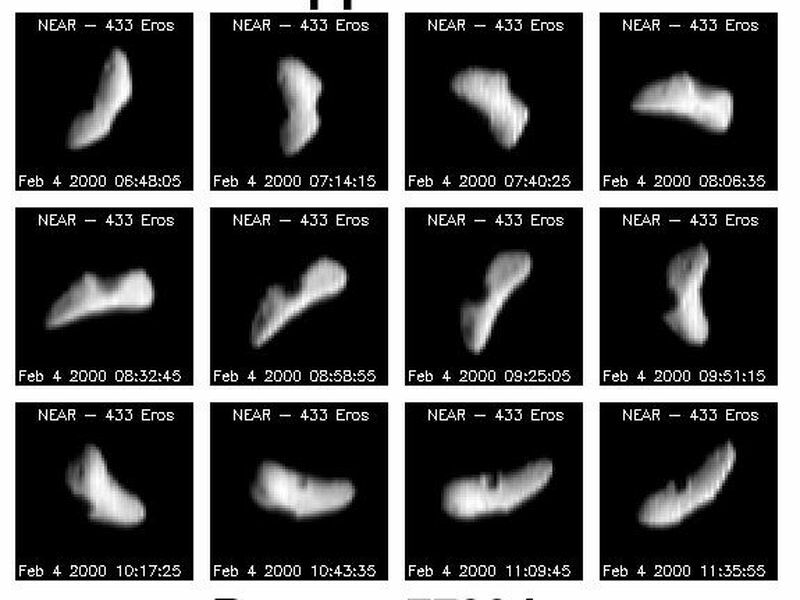 These images taken during approach to the asteroid are used by mission navigators and operators to make the proper corrections in the spacecraft's trajectory during the critical burns coming up on Feb. 8 and Feb. 14. 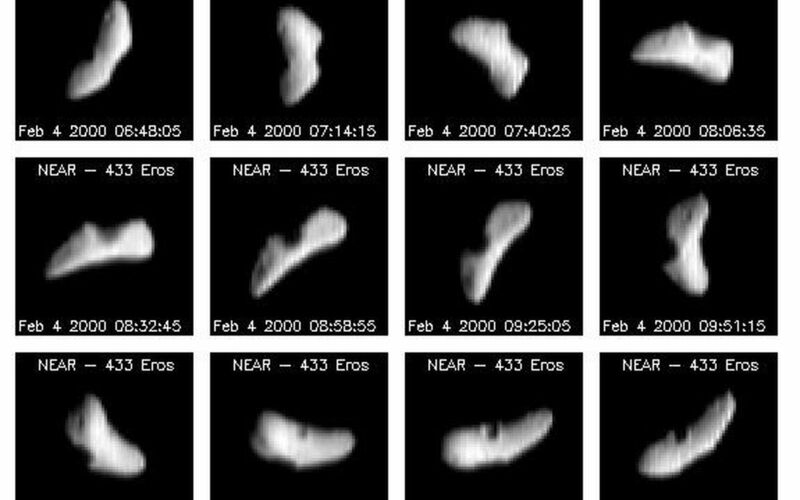 As an added bonus, these "OpNav" (optical navigation) images provide an increasingly detailed view of surface features on the asteroid. The resolution has increased to about 0.5 miles (0.8 km) per pixel, revealing the presence of 3 small craters on the surface. Over the next 10 days our view of the surface will become increasingly detailed and will allow for nearly global low resolution mapping of the asteroid before NEAR goes into orbit about Eros on Valentine's Day, Feb. 14. Once in orbit, NEAR's suite of scientific instruments will allow for global mapping of the asteroid at very high resolution.